MIAMI — The discovery of Zika-carrying mosquitoes in South Florida certainly isn't ideal for tourism, but local officials and business leaders are confident the long-term impact on the tourism industry will be minor. Transmission of the virus via mosquito has been confirmed in two sites in Miami-Dade County, but Miami Beach Mayor Philip Levine said in a news conference Friday he is confident in the city's efforts to combat it. 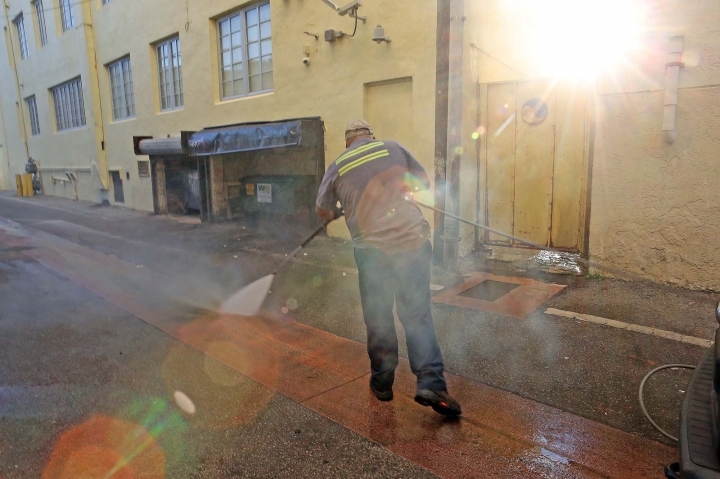 City workers are trying to get rid of standing water and foliage that might attract the insects, while the county begins a fumigation program to kill the bugs. "Between our efforts and the county's spraying efforts, the last thing I'd ever want to be on Miami Beach is a mosquito," Levine said. Organizers for Art Basel Miami Beach and other upcoming events cautiously expressed confidence in the region's mosquito control efforts. Officials at the Americas Food and Beverage Show will add mosquito repellent to goody bags at the late September event at the Miami Beach Convention Center. "We're taking extra precautions," said Yendi Alvarez, the show's media coordinator. "This wasn't even a thought last year. We put this in place once the news started getting crazy." Gov. Rick Scott has directed Florida's health department to offer mosquito spraying and related services at no cost to Miami-Dade County's hotels, restaurants and tourist attractions. More than 15.5 million people made overnight visits to Miami and nearby beaches in 2015, with an impact of $24.4 billion, according to figures from the Greater Miami Convention and Visitors Bureau. 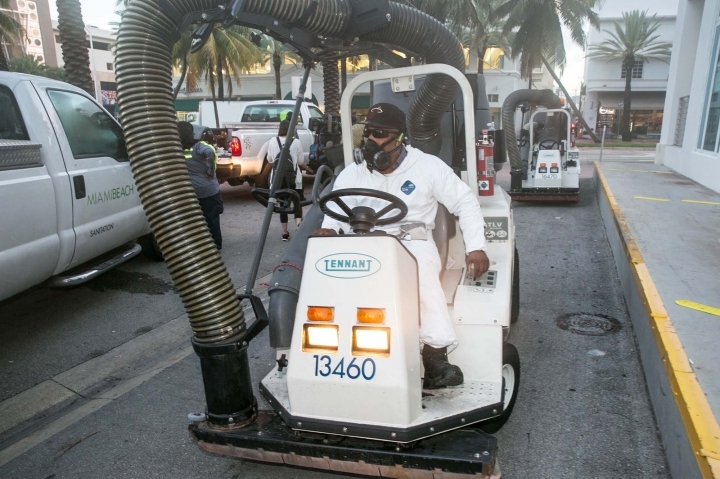 Three vacuum trucks purchased to help Miami Beach fight rising sea levels have been used since the beginning of the year to drain water in low-lying areas where mosquitoes could breed, said Roy Coley, the city's infrastructure director. 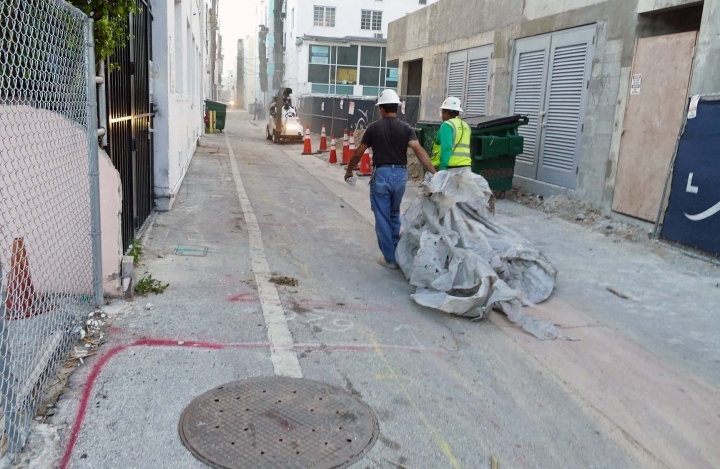 The city also has been sending workers to fill potholes collecting water in alleys and fix leaky beach showers, in addition to applying pesticides to the area's many construction sites and flood-prone residential streets, Coley said. Five cases of Zika have been connected to mosquitoes in Miami Beach, bringing the state's caseload to 36 infections not related to travel outside the U.S., Florida's governor and health department announced Friday. South Beach has been identified as a second site of Zika transmission by mosquitoes on the U.S. mainland. Containment there will be difficult because high-rise buildings and strong winds make it impractical to spray the neighborhood from the air, officials said Friday. The discovery prompted the U.S. Centers for Disease Control and Prevention to announce that it was expanding its travel warning for pregnant women to include the area known for nightclubs, pedestrian thoroughfares and beaches. In pregnant women, a Zika infection can cause severe birth defects, including microcephaly. The CDC previously warned pregnant women to avoid the Wynwood arts district in Miami. In its statement Friday, the agency said pregnant women may also want to consider postponing nonessential travel throughout Miami-Dade County if they're concerned about potential exposure to the virus. Aerial spraying and door-to-door operations on the ground have cut mosquito populations in Wynwood by up to 90 percent, but Zika may be continuing as mosquitoes breed, said CDC director Dr. Tom Frieden. "The mosquitoes are persistent and we won't know for a couple of weeks whether these aggressive measures have worked," Frieden said. Associated Press writers Tamara Lush in Tampa, Florida, and Scott Mayerowitz in New York contributed to this report.